A first-generation American, Joanna grew up loving life in California, but maintaining an equal passion for the European cuisine and customs that she inherited from her Polish-born parents. Joanna worked in restaurants all over California but always dreamed of owning her own place specializing in European food. She jumped at the chance to take over European Deli in the summer of 2017, and since then has busied herself not only retaining the most popular items, but constantly adding new products to create a true Old World deli and market right here in the San Gabriel Valley. Nothing makes Joanna happier than interacting with her customers. She believes deeply that food is a great unifier amongst people and that strangers can quickly become friends when sharing recipes and suggestions. Stop by and see what new recipe Joanna has cooked up that day or ask her advice for a dish you are planning to make. Natalia was born in Poland and moved to the United States in the early 1970s, where she met a fellow Polish emigrant in the burgeoning Los Angeles Polish community. They were soon married, and their two daughters were born in Calfornia. All these decades later, Natalia is retired (after a career as a civil engineer) and widowed, but still maintains a passionate interest in the Polish-American community and volunteers for many organizations. 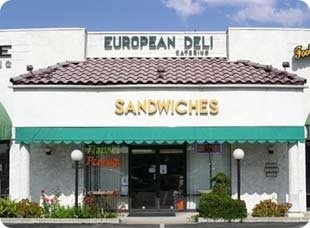 When the opportunity presented itself, Natalia was thrilled to join her eldest daughter in acquiring European Deli. You will often find her in the shop, adding new items and chatting with customers about favorite food items from Europe.